Own for the same cost as renting! This special prewar home is loaded with character. 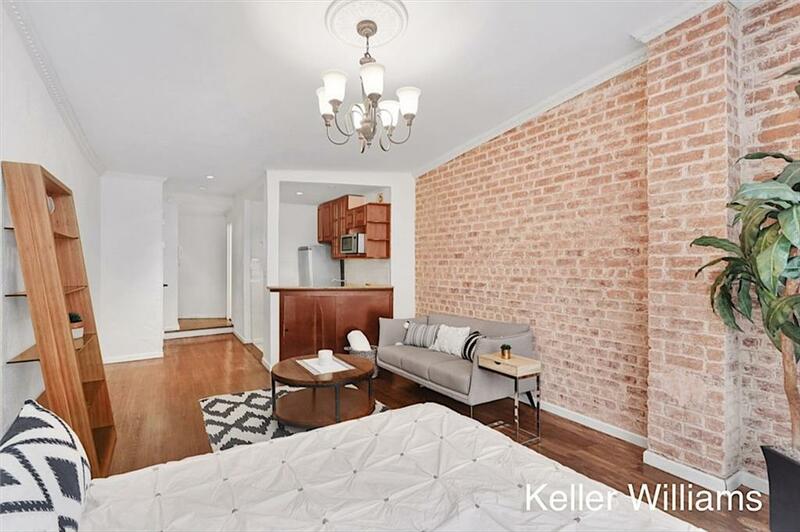 Walk through your entrance hall into an expansive living space with gorgeous exposed brick and crown molding. Soaring ceilings and a wall of southern facing windows make the space feel especially lofty. 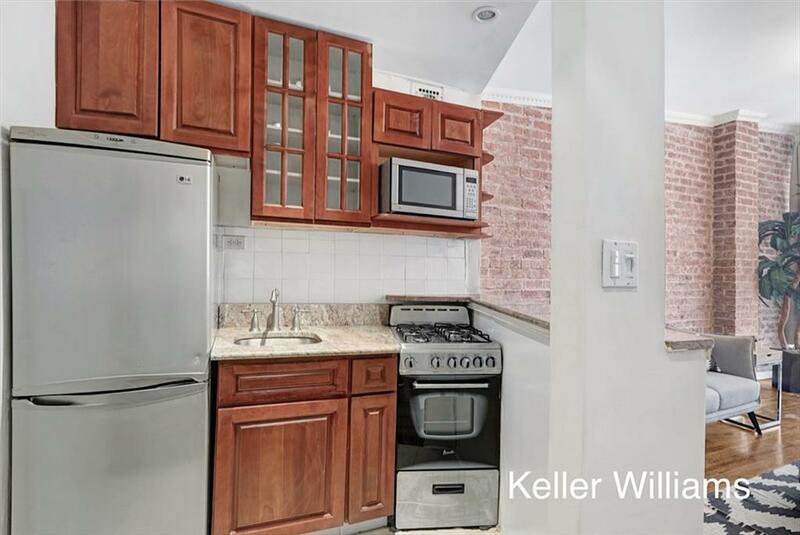 The kitchen is open into the living room and has stainless steel appliances. Rich walnut stained wood floors run throughout. The home easily accommodates a queen sized bedroom set and generous entertaining space. There are 2 large closets including one with charming French doors. 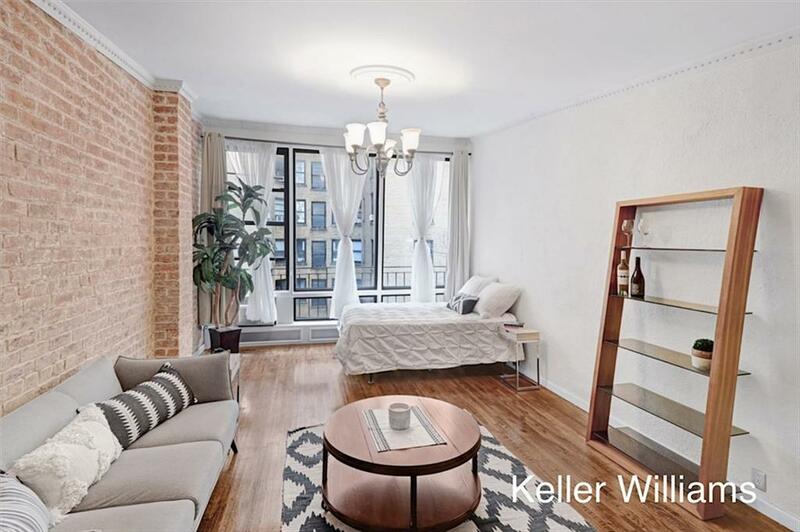 The location is ideal and very close to the Q and 6 subway lines. Don't settle for a typical cookie cutter studio when you can live in this one of a kind home brimming with personality. 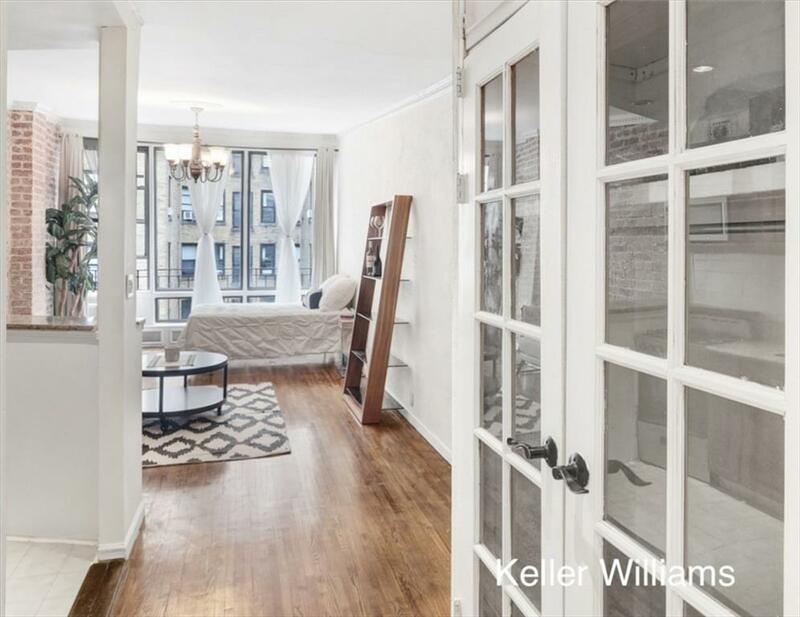 Listing courtesy of Rachel Kelly of Keller Williams Nyc.